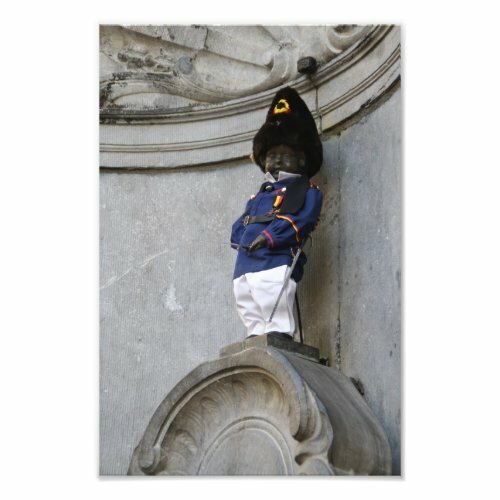 The famous Manneken Pis statue of a little boy peeing. Though the boy is supposed to be naked, it is dressed up from time to time, and when I took the photo it was dressed up in what seems to be an 1830 soldier's outfit, probably because of the 1830s independence activities that took place the same day. BTW, I'll share some photos of the costume parade later, probably on my other blog.